Are You Rewarding the Wrong Behavior? 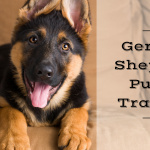 Is Your Pup Training You? One of the only draw backs to positive reinforcement training that I have found is inadvertently rewarding the wrong behavior. 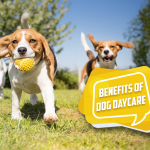 With that said, the benefits far outweigh the disadvantages and dogs who are not regularly use to positive reinforcement training still end up “training” their human counter parts! Dogs are superior trainers! With very little effort, a dog will realize which behaviors get them what they want and which behaviors don’t get them anywhere. They are much better about analyzing behavior and reward principals than we are, and they are devoted to getting what they want out of life, no matter how long it takes them to convince us “dumb” humans what they need. 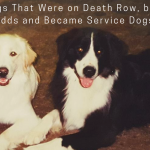 The problem therein lies that most of us “dumb” humans are too busy with the challenges of life to realize the naughty behaviors we are rewarding and that we are creating or enabling most of the problems we see in our dogs. Dogs are nonverbal, they can’t come up to us and say “Hey! I’m hungry feed me!” or “Let’s play!” instead they use behaviors to convince us to do the things they want. They pick up their bowl and throw it, they bark in our faces, or whatever motivates us to do what they are asking. They are much better at picking up minute behavior cues! First, analyze the behaviors you don’t like and figure out where your relationship is going wrong. Then you can determine what behavior you would like instead! I once had a client who was trying to keep her dog off of the furniture. Her husband HATED the dog on the sofa, so I recommended that she only reward the dog when he was off of the furniture and on the floor. If he got on the sofa she was to calmly get him off, give a command to change his thought process, and then reward him for good behavior. She called me one day totally frustrated because he was being good except in the morning when she was cooking breakfast. She described how her dog would peak at her from the floor in front of the sofa, make sure he had eye contact, then fly onto the sofa, almost immediately dismount (I give him a perfect 10.0), sit and then wait for her to give him a cookie. She couldn’t figure out WHAT she was doing wrong! I told her that in this case her dog was by far the most adept trainer! He had figured out a behavior chain to get the reward he wanted. I could imagine him waiting impatiently to get the initial eye contact and then running through the gamete of behaviors until FINALLY (in his mind) he had earned his treat. She had to break it down and realize where her part of the scenario went awry. In the dog’s mind, jumping on the sofa was part of what she wanted at least at this time of day. Why? Probably because he realized she was too busy to watch him and make sure he stayed off of the couch, however he noticed quite quickly that she immediately saw when he was on the sofa and then gave him attention (although negative) but when he did his dismount, he was rewarded with a treat! We discussed ways to stop him prior to his jumping escapade. She could either encourage him to be in the kitchen, laying at her feet while she made breakfast, therefore PREVENTING his access to the sofa and the continuance of this behavior. Or, she could reward him BEFORE he leaped with joy onto the sofa. The moment he made eye contact or she noticed him sitting in front of the sofa she would reward with the commencement of a treat! This worked, because he still got what he wanted (the treat) except this time it was for a behavior that his owner wanted! What Bad Behavior are You Rewarding? 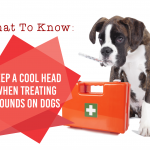 Your Dog May Be Too Demanding, and You May Be Rewarding it! Instead, immediately remove yourself from his company. Jump up and leave the room! Let him know, your barking makes me leave! Even if you have to shut yourself into a room for a moment or two until he quits do it! You will be telling him, when you are quiet I will spend time with you! Teaching him the “Quiet” command is helpful too! Are you petting or even screaming at your dog when he jumps on you? Even negative behavior and punishment is attention! 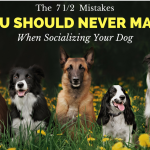 You may simply need to PREVENT the behavior by rewarding when their feet are on the ground and only when their feet are on the ground or using a tab leash and plucking them quietly and kindly off of you then rewarding when the feet hit the floor! 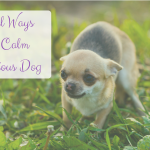 Be careful, if your dog is ricocheting off of your body and then sitting like an angel…you may have inadvertently created a negative behavior change. Instead, wait for a few seconds after the jump, move a step or two any and then reward for four on the floor, MINUS the jump! Instead freeze and become immobile or change your direction! 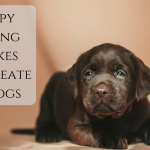 Whatever the behavior that you want to fix, analyze what your dog is getting out of the situation so that you can change the dynamics to your favor. Sometimes you will have to reward a good behavior if it follows a bad behavior, but the key ingredient is rewarding that good behavior sans the bad behavior or you will be building that behavior change of destruction! Decide what you want! 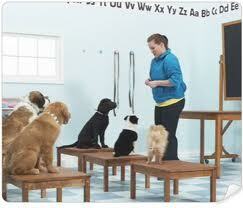 As with any dog training, what behaviors you decide to reward is simply up to you and your situation! If the behavior is cute and you want to continue to see it…reward it and it will never go away. If you don’t like it, ignore it or change it! Even silly things can be markers, one of my dogs scratches his collar and jingles his tags in the morning to wake me up so that I will get up and feed them. If I do (which obviously I have done in the past because he continues to do it) I will see the behavior show up earlier and earlier in the morning and probably at other times. Feeding time is on my schedule, so I lay in bed and ignore him for a few minutes until I am ready to get up! 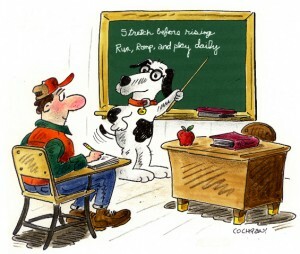 Take the Reins and Be the Teacher! Rewarding the wrong behavior is easy to do, we ALL do it! The important thing to remember is to bow down to their superiority as trainers, face it, they really are better than us in most instances. But, when you realize you are having a problem, analyze what happens at each chain in the behavior and figure out what they are getting from the behavior and how you might add to the reinforcement. 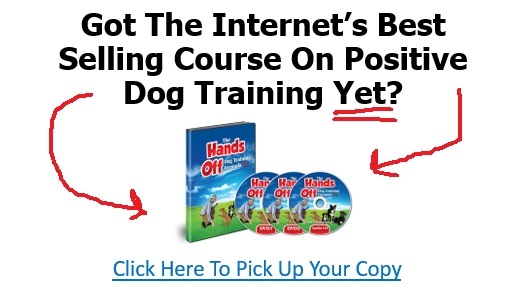 Once you can break things down and start thinking more like your canine companion, you will exceed the limits of training, because you are becoming more advanced and you will begin to realize exactly how to manipulate your friend to do what YOU want, while he still thinks HE is the one training YOU! I think one of the biggest problems is that we, as humans, have a strong tendency to notice the bad (and react to it) while we ignore the good. 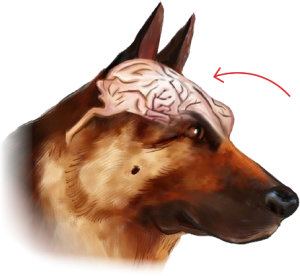 We do it to our dogs, our families … for some reason we are wired this way and need to work on changing that. It is true that we over schedule our lives, leaving little time for important things, like spending real time paying attention to our kids, and the dogs who share our lives. We create the kind of life we live, so to think that it can be any other way than chaotic, without change, is like hoping for a paycheck, but having no job! As a trainer, I mark the good behaviour and/or the one I asked with the use of a clicker. 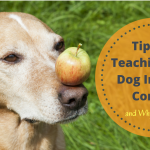 Clicker training gives clear and positive feedback, and when charged up properly, tells the dog it was a good half second stand before the bum hit the ground. Clickers or versions of them have been used to train dolphins, dogs, cats, llamas, chickens and more. I clicker trained my cat, and she is toilet trained, sits, sits up, gives a paw and the other, gives me 5, down, stay, and I can make her stay for 5 minutes with a treat within easy reach, and she won’t go for it until I say either take it, ok, or the go of On your mark, get set, go. She also demands her turn when I am doing the recalls, and I can set her up at the end of the hall, go to the other end and call her. She almost has the drop on recall down. OH I forgot to mention her latest… she will roll over on command. Both the cat and the 4 dogs get really excited when I take out the clicker, because that means we are working on something new. Training is easy when you use the right tools. Clicking marks the spot a lot faster than saying YES! or Good boy! I was blowen away by this because it what I was doing but not any more. I have a very hyperactive standard poodle. Some of your blogs have helped me a lot. I am an older woman who is frail and when the dog pulls on the leash, or jumps on me she can (and does) hurt me. I live on social security and cannot afford to hire a trainer, so I really value your advice and blogs. THANK YOU!! 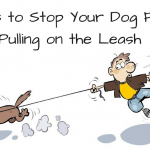 my labradoodle will NOT walk on a loose lease although I’ve tried the “stop or go in the other direction” solution;. I am in an electric scooter most of the time, and when I do walk short distances, he pulls so hard he has injured my arm. Any other suggestions? Having trained many Service Dogs for people in scooters and/or wheel chairs we often recommended attaching the dog to the scooter with some plastic chain when he pulls just stop the scooter and wait until there is no more pulling to continue. Plan a walk where you can really take your time. Wear an old pair of pants. Stop when he pulls and take a step backwards. COmpletely ignore him at this point. Let him chew and tug. The second he stops praise him and give him a treat. Start walking and then do it all over again. It will take a while and a few attempts but he really will come to realize that you ignore him when he attacks your pants and you treat him when he isn’t doing anything. I also taught my dog to sit everytime I stop. Get him to quite chewing on your pants before you move to that step. My wife has an 8 month old yorkie who can be very sweet and cute at times but most of the time is a terror! She is trying hard to train him but he wants it all his way! The biggest problem is getting him to stay quite, he will bark at us for attention and to get us to play. We try to give him lots of attention and playtime but he is very demanding.He makes my wife qet up eary on the weekends by barking in her face and he jumps, whines,and barks at her when he wants her attention. It is driving her nuts and me too. Any suggestions. He also chews anything he can get his mounth on!!!!! We have no intentions of giving him up but could use some help on getting him to calm down. Thanks so much. You must stop meeting his demands and start making him meet yours. 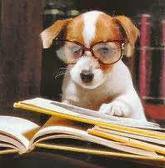 Ignore him when he barks or read my article on the irritation of barking and teach him to stop. Teach him he must meet your demands in order for you to feed him, play with him, and pet him he should be taught to sit, lay down and be quiet on command in order to get what he wants out of life. Right now he is the trainer, demanding what he wants in life, you must turn the tables and become the trainers! Yeah, right. Sounds good, however we have tried ignoring him and he only gets more out of control. How do we go about teaching him we are the trainers, not him?? Your reply is not much help here.